Weather Tight is Wisconsin’s most recommended remodeler—we proudly serve nine counties in Southeastern Wisconsin with top-notch services. From window installations to door replacements, our team of professionals is here to take care of your Sussex home. We’ve satisfied over 25,000 customers since starting our company in 1986. That’s why we are the number one choice for residents in the area. We offer free in-home, no-obligation consultations and price quotes so that you never feel pressured. We are here to serve you—not to make a sale. Let us know what you’re looking for and we can find you cost-effective options to make your remodeling project a reality. Feel free to stop by our West Allis showroom to see some of our products—and rest easy knowing that our product installations are backed against defects, or your money back. Stop by or give us a call at 414-459-3874 to get started. And in the meantime, check out Tod & Todd’s video tips to learn more about us and additional home care and remodeling tips. This is our second installation/remodel job with weathertight, we recommend this company because of their products, installers and sales team. Thanks again to Jeremy, and Shaon for a job well done despite the bone cold temps. Excellent windows, excellent service, install team was great to work with. Jeremy/Justin B./Steve E./ Pedro all worked together to get this large 23 window installation done in three days in January weather. These windows have changed the total look of our house both on the exterior and interior. People are now stopping to find out what kind of windows I have. Thanks much. Bob T. Town of Lisbon. Looking to let more natural lighting into your home? 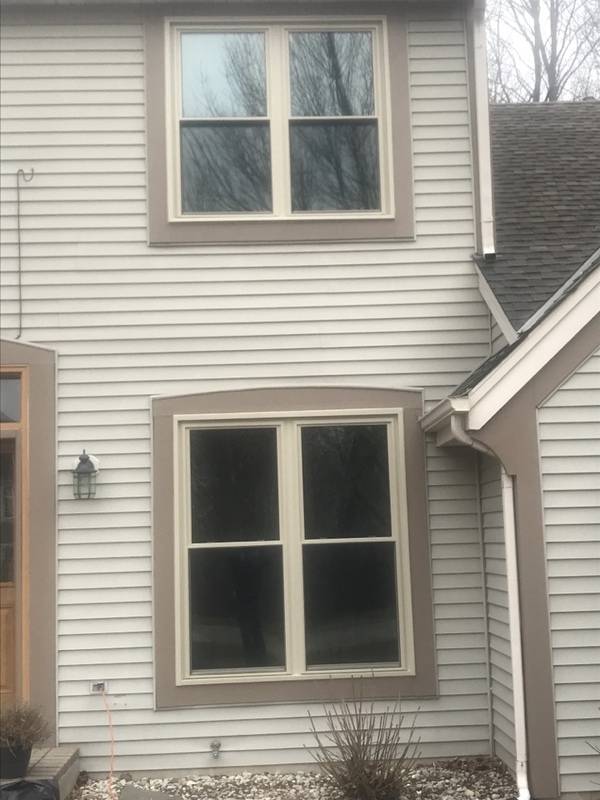 Having new windows installed is the perfect way to do so. We offer only the highest quality of windows available including garden, bow and bay, full-frame, sliding, double hung, and casement windows. We’ll even match each window to meet your needs including hardware color, glass, grid, and casing. You won’t believe the options you can pick from. Stop by our showroom to try a few options before discussing what we can do for you. Plus, all of our installations are weather tight so no precipitation or moisture gets in—that’s why our company name is what it is. Let’s start discussing your Sussex home updates today to see what we can do for you. Read through some of our testimonials to see what other Sussex customers are saying. Have you been thinking about having a new front entry door installed or maybe a back patio door? We’re here to help. Our showroom is full of options you can try, and we carry even more options to offer you. Plus, we can customize the door to be exactly what you want—your choice of glass, color, sidelights, handles, hinges, and more. Ask us about having a fire door installed in your garage to help protect your family in the event of an emergency. We can also recommend new siding options for your Sussex home if you’re looking to update it. We have a number of options including a wide array of colored vinyl siding, engineered wood siding, and shakes and scallops to have your home looking great in no time. Every installation is professional and performed with care, and can be a great way to improve the look of your home if the siding is outdated. Don’t press your luck with a leaky or aged roof. Let us recommend solutions such as metal roofing and asphalt shingle roofing to protect your home and family. Metal roofing is good for the environment because it is 100 percent recyclable and it can last up to four times longer than traditional asphalt shingle roof. However, both options can be a great choice for your home. We can decide together which is best for you. We can also recommend soffit and fascia, gutters, and gutter protection to help protect your new roof. All of our installations are fit perfectly to ensure your Sussex home looks great and is protected from the elements. Our company is family owned and always here to take care of yours. Sussex is a village located just northwest of Milwaukee—it was originally founded in June 1843 and has since grown to become a vibrant, tight-knit community. While you’re in the area, be sure to check out the community disc golf course. And keep an eye out for community events like S.O.S. Community Fun Day, Classic Car Cruise Night, and the Sussex Farmers Market. Afterwards, grab a bite to eat at Tony Maronni’s or M & M Restaurant which are local favorites. From a long list of community activities to delicious area restaurants, you’ll definitely enjoy your time in Sussex. When you are coming to our showroom from Sussex, start out driving south on Waukesha Avenue and continue for 5.7 miles as it turns into Redford Boulevard. Turn left to merge onto I-94 East and continue for 8.7 miles before taking Exit 305A to merge onto I-894 East/US-45 South toward Chicago. Continue for another 2.7 miles and then take Exit 2B for Oklahoma Avenue. Take a final right onto Milwaukee NN/West Oklahoma Avenue and you will see us on the right side.